I am a HUGE football fan. I created this blog for fun and I'll just see where it goes. I know the current NFL regular season is on it's way so I am sure I will have a lot to write about. But I won't stop at there. I will also blog about NCAA football, which is also coming up very soon. This is my favorite part of the year! 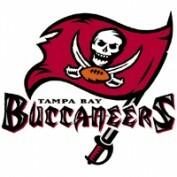 I am from the Tampa Bay area so my main focus will be on the Tampa Bay Buccaneers. So, I should be able to provide a lot of good information that may or may not show up on other popular sites such as ESPN or FoxSports. On the college front, my team of choice (since I am a grad from there as well) is the defending National Champion Florida Gators. I go to a few home games each year and usually 1 SEC road game a year. Previous stops I have been to Auburn, Knoxville, and Baton Rouge, which is my favorite road stop of them all. I have also been to every single National Championship game Florida has played in: 1995 Florida vs. Nebraska (we got killed), 1997 Florida vs. Florida State (1st National Title), 2007 Florida vs. Ohio State (most gratifying win of all-time versus overrated undefeated Ohio State team) and 2009 Florida vs. Oklahoma (this was sweet as well as it was not a far drive to Miami to play against the 'Greatest Offense in College Football History'. So drop a line if you find any of my articles interesting, intriguing or totally none of the above! I welcome all opinions as my goal here is to engage in meaningful conversation and to learn things that I may not know as well. So sit back and relax and let's enjoy the upcoming football season. I am sure we'll have a lot to talk about.